Quicken Loans has joined forces with Freddie Mac to offer low-down-payment mortgages and other services to some underserved borrowers. Formalizing the companies’ existing relationship is intended to extend mortgage credit to some currently underserved emerging markets, including millennials, first-time homebuyers and middle-class borrowers. The partnership will allow eligible buyers to secure mortgages with down payments as small as 3 percent, and the partners will also offer homebuyer education. The partnership was announced at the Mortgage Bankers Association’s 102nd Annual Convention and Expo, held this week in San Diego. It expands upon Freddie Mac’s existing Home Possible and Home Possible Advantage programs, which allows eligible borrowers to finance homes with down payments of as low as 3 percent. 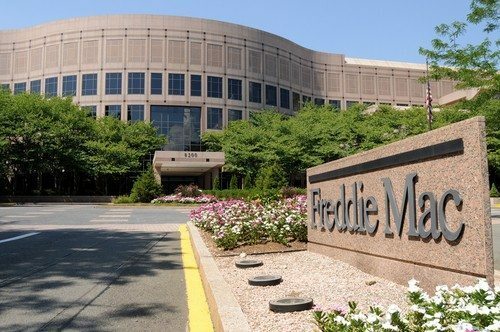 According to Brad German, director of public relations for Freddie Mac, Quicken already offers Home Possible and Home Possible Advantage mortgages. Formalizing the companies’ existing relationship is intended to extend mortgage credit to some currently underserved emerging markets, including millennials, first-time homebuyers and middle-class borrowers, German said. The partners will also offer homebuyer education. The partnership comes at a time that Quicken is suing the federal government for allegedly trying to strong-arm it into a hefty settlement over its handling of FHA-backed mortgages. The Department of Justice filed its own lawsuit a week later, accusing the lender of submitting insurance claims for hundreds of improperly underwritten FHA-insured loans over a period of four years. Both suits are still pending. Quicken is one of the largest FHA lenders in the country, with the lowest FHA default rate. FHA loans require a 3.5-percent down payment. “The Home Possible and Home Possible Advantage programs are a proven, tested model,” he said. “In order to limit default risk, Home Possible Advantage is available as a fixed-rate mortgage for primary residences only; this ensures that principal and interest payments stay the same, and borrowers won’t worry about future mortgage payment shock,” Lowman stated.